Tooth Replacement: Bridges, Dentures or Implants? Poor dental hygiene, injuries, and oral diseases can result in broken and missing teeth that need to be replaced. A clinical survey conducted in 2005 revealed that over one-third patients who came for dental services required restorative procedures. Dental bridges are often used if a person is missing a tooth. They quite literally “bridge the gap” between the absent tooth and the surrounding area by acting as a fixed partial dentures that fill in the existing gap. Apart from the fixed bridges, however, patients can also make use of removable and implant bridges. The latter are secured to dental implants and function with their assistance. Dental bridges are usually made from alloys, porcelain, or gold, and keep your teeth intact making it easier for you to chew food. Dentures are the ideal option for people who have lost most or all of their teeth. 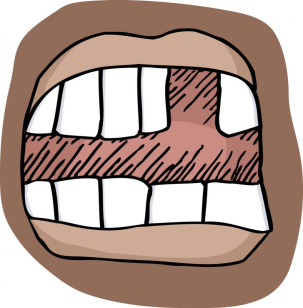 Full dentures are used when all of the upper or lower teeth are missing, leaving the gums exposed. 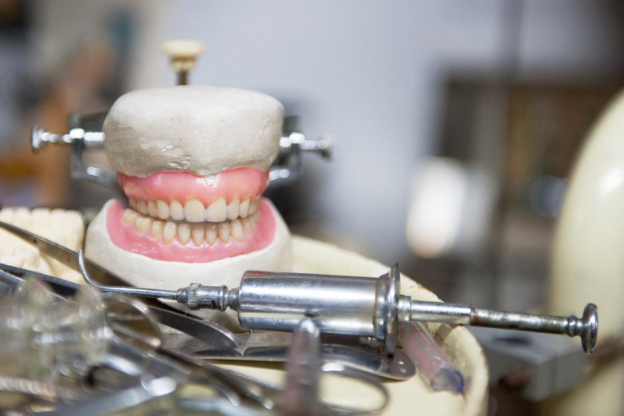 These dentures then replace the missing teeth and cover the gum tissue, restoring the person’s ability to chew. As opposed to these, partial dentures may be provided to a person when only a few teeth from one side are missing, and the remaining ones are able to give sufficient support to your teeth functioning. Similarly, implant dentures may be used along with dental implants to better restore eating. Since these are held by the implants, the biting strength with these dentures is greater than it is with full or partial ones. If the tooth is broken such that the crack goes below the gum line as well, it is impossible to treat that particular tooth. After it has been extracted, a dental implant is used to replace the missing tooth in order to restore its function. Essentially, dental implants are synthetic teeth that are inserted in the jaw. The procedure requires a surgical placement of a biocompatible screw that fuses with the jaw bone beneath the gums. This is then topped with a dental crown which acts as a protective casing and gives the tooth a natural appearance. Dental implants do not have an effect on the surrounding teeth, and blend in with the natural outlook of a person’s teeth perfectly. This makes them a preferred choice of tooth replacement. However, in order to get a tooth implant, the person must have a healthy gum tissue and their jawbone should be able to withstand the pressure exerted for holding the implants securely in the mouth. Your dentist can best decide which procedure will work best to restore your teeth. New City Family Dental in New York provides a range of restorative dental procedures that will improve and strengthen your teeth painlessly! Call us at (845) 634-6006 for more information.